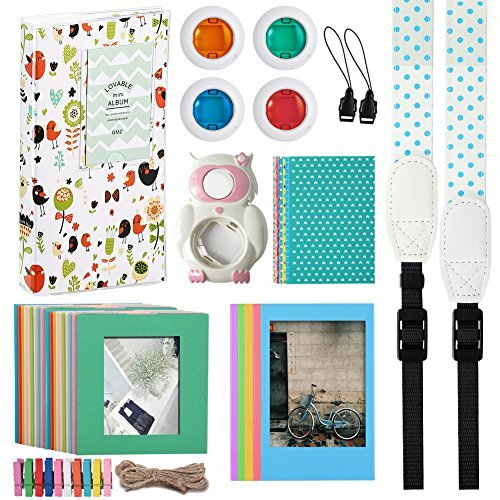 INSTANT CAMERA ACCESSORIES BUNDLES - Katia bundles included mini book album, close up selfie lens for fujifilm instax mini 9/ 8 / 8+ instant camera, colorful filter, camera strap, colorful decor sticker borders, colorful wall decor hanging frame, different colorful table frame. SELFIE LENS - Close up selfie lens let you take pictures by yourself, the special lens can do great closeups that capture you in the perfect way. If you have any questions about this product by Katia, contact us by completing and submitting the form below. If you are looking for a specif part number, please include it with your message.